Keep your bird baths free of ice for your feathered friends this winter. 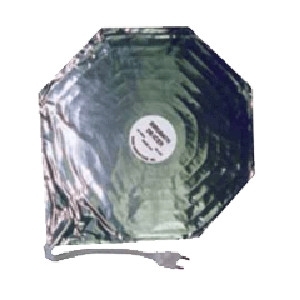 This item has a uniquely constructed pattern heater on aluminum foil. 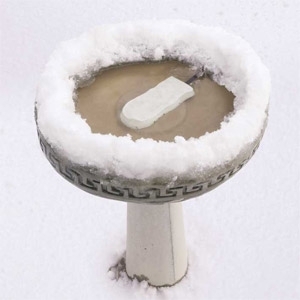 The Bird Bath De-icer is thermostatically controlled to operate only when necessary. Economical low wattage. Moving water in sub-zero temps. Safe. Be sure to keep the unit clean of water impurities. 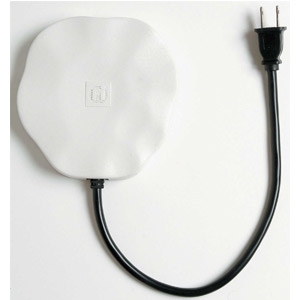 Product is made of cast aluminum - paintable. Maintains open water in sub-zero temperatures. 50 watts. Safe to use, and easy to clean.